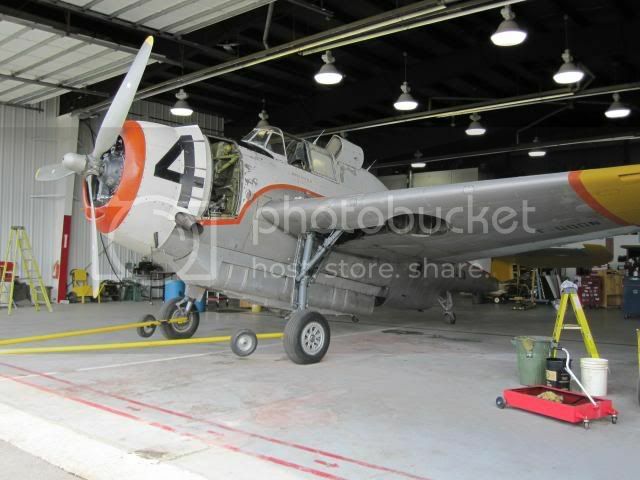 The latest acquisition by the Canadian Warplane Heritage Museum is a Grumman TBM-3E Avenger, #53858, ex-FPL C-GFPR. The TBM was acquired with the assistance of a generous donor from Didier Chable from France. An exchange of surplus CWH Bolingbroke parts were also part of the deal. Museum staff and volunteers are heading to Fredericton, New Brunswick next week to disassemble the aircraft for transportation by road back to Mount Hope, Ontario. Restoration to flying condition will begin immediately. Bomb bay doors and the plexiglass turret are two items that will need to be acquired for the restoration. The aircraft will eventually be painted in the familiar Royal Canadian Navy navy colour (similar to C-GCWG). However, for its' first flying season, it will be painted in honour of a special initiative that will be announced later next year. It'll be great to see a Canadian Avenger around So. Ontario and hopefully into Western NY. I'm really thrilled to see the CWH expand and really advance as a flying museum over these last couple years. The late 90s and early 00s seemed to be such a slow time for the museum. I hope to see a Hurricane acquisition someday to replace the one lost in the fire. Slowly building back there collection! I like it! But what about there Bollingbroke? Is that still many years away from completion? Or with the Lysander finally out of the shop, will work be focused on the twin engined beauty? 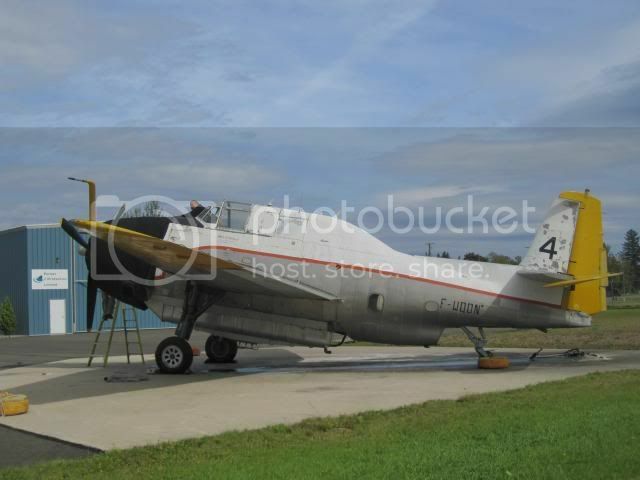 Now, I know that I'm in the minority here (especially when it comes to museums), but I sure wish someone would restore an old firebomber back to it's firebomber roots. TBMs, Tigercats, etc., all have just as much (if not more) history in their firebomber roles than in wartime. And frankly, those firebomber guys and gals are pretty heroic in my book as well. Just my $.02 worth. Again, congrats on the acquisition. I like how it is now. I would not change a thing!! Awesome paint job. COOL!!!!!!!!!!!!!!!!!!!!!!! 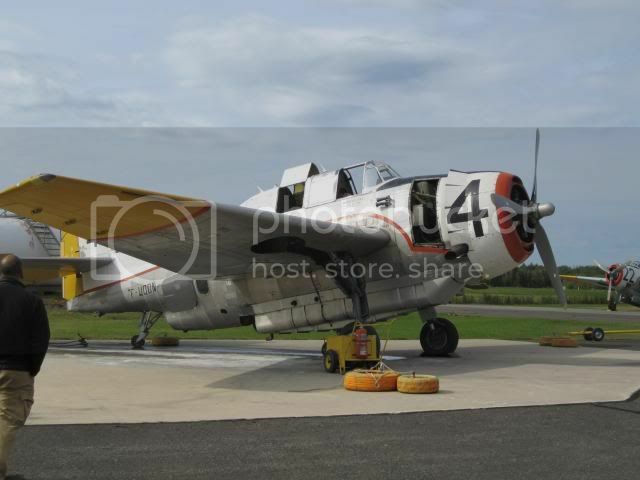 I have to agree it is an interesting aircraft as a fire bomber. But that being said, the museum preserves aircraft that were flown by Canadians in military service primarily, and to add to our Navy aircraft in Canadian colors only seems fitting. This makes the count up to 2 replacements (Auster and Avenger) of the 5 aircraft that were lost in our devastating fire back in 1993. Ah yes, There we were, left engine on fire, right engine feathered...ahh yes,...there we were, ..Screwed! No Kissing! Congrats, I love the work you folks are doing. That's awesome, can't wait to see it in the hangar. Are there ANY firebombers in any museum displayed as such? Now the MARS, that would make a nice display...have it do a water drop at airshows!!!! The fact that utilizing warplanes in a civil purpose saved many from the scrappers should be acknowledged somehow. Post subject: TBM-3E in a museum in spraying colors. There are a few ex-CDF piston Trackers preserved in museums, as gate guards, etc since they were replaced by the CDF's current Turbo Trackers. Offhand, I can think of one on the gate at Hemet-Ryan, and I think the McClellan and Santa Rosa museums each have one.